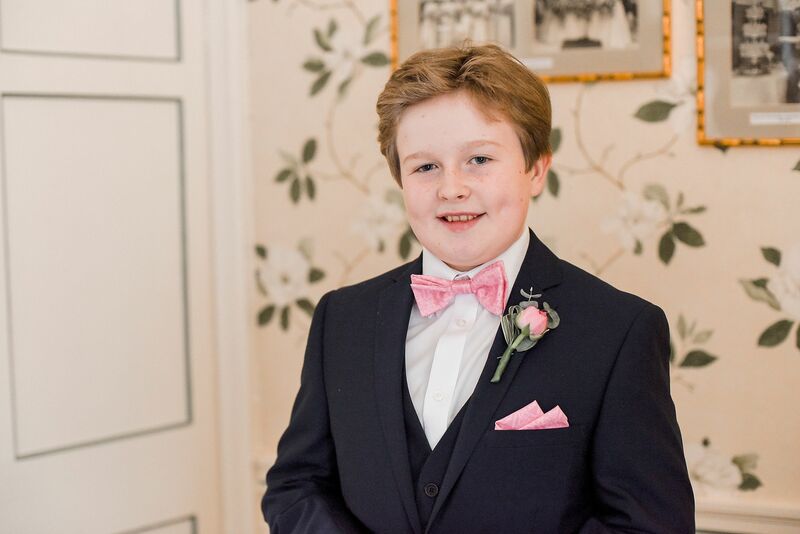 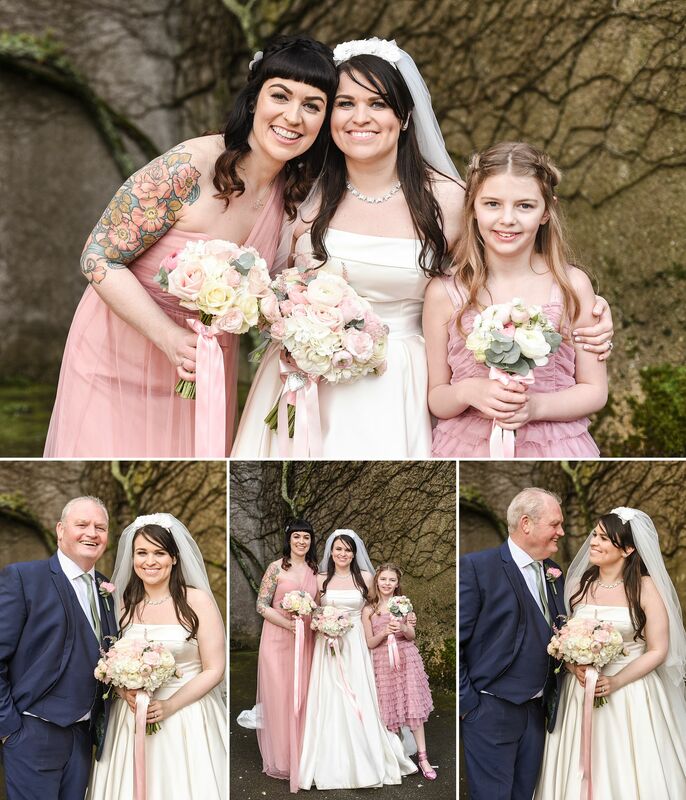 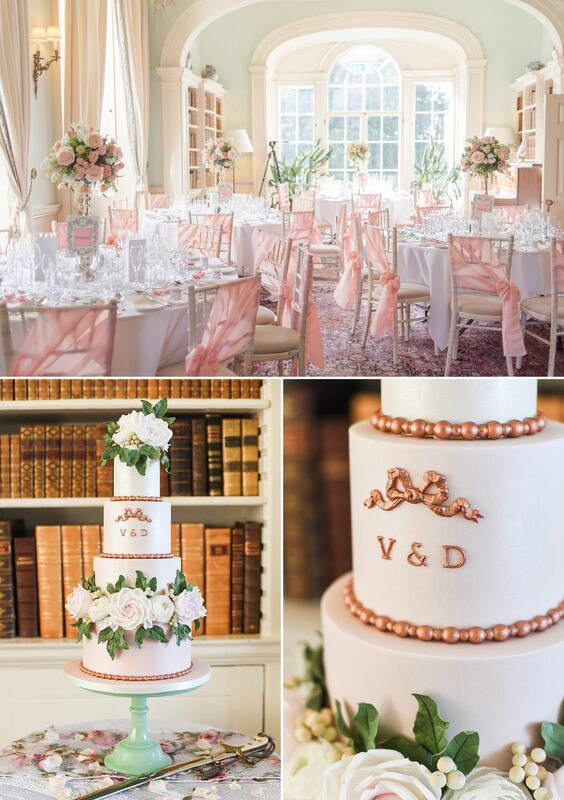 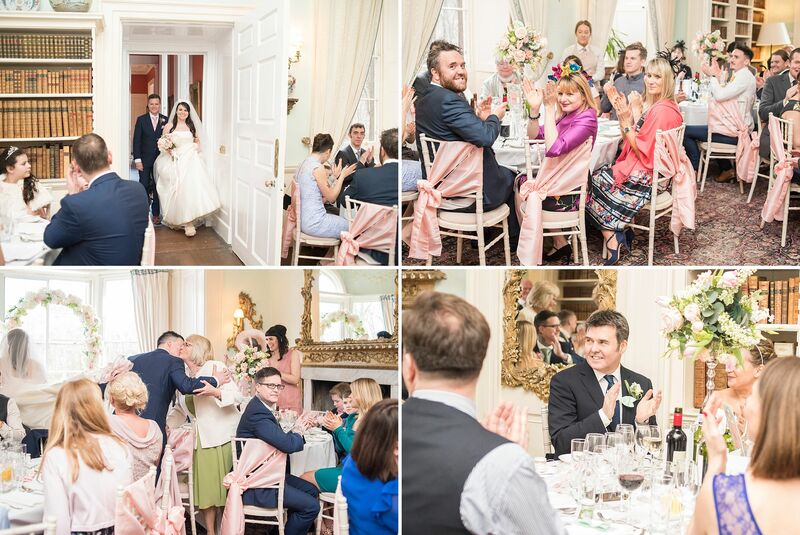 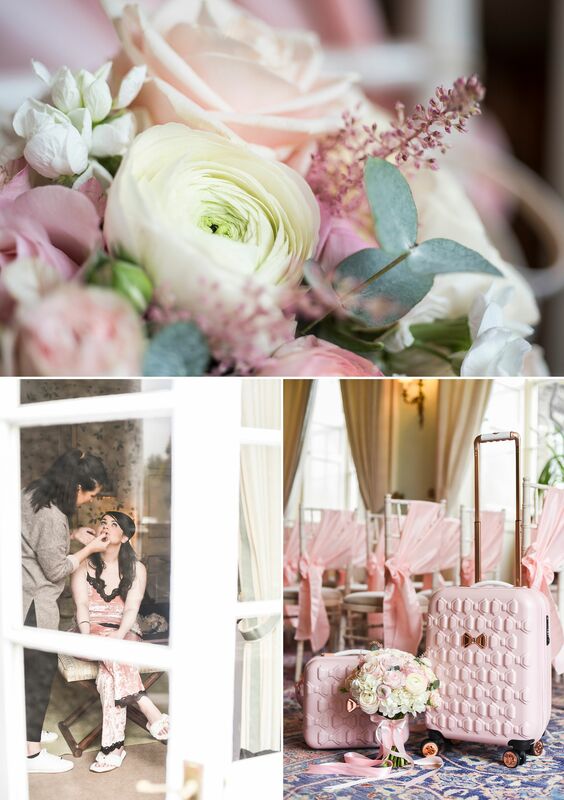 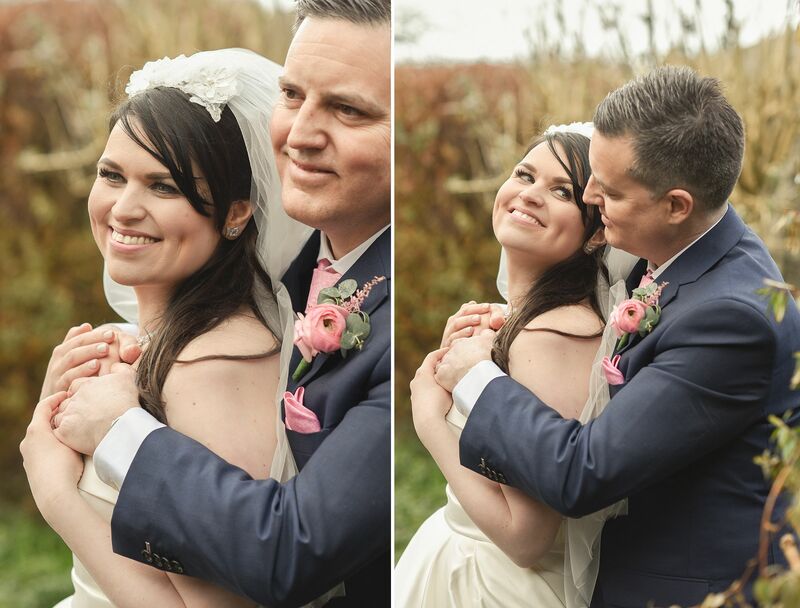 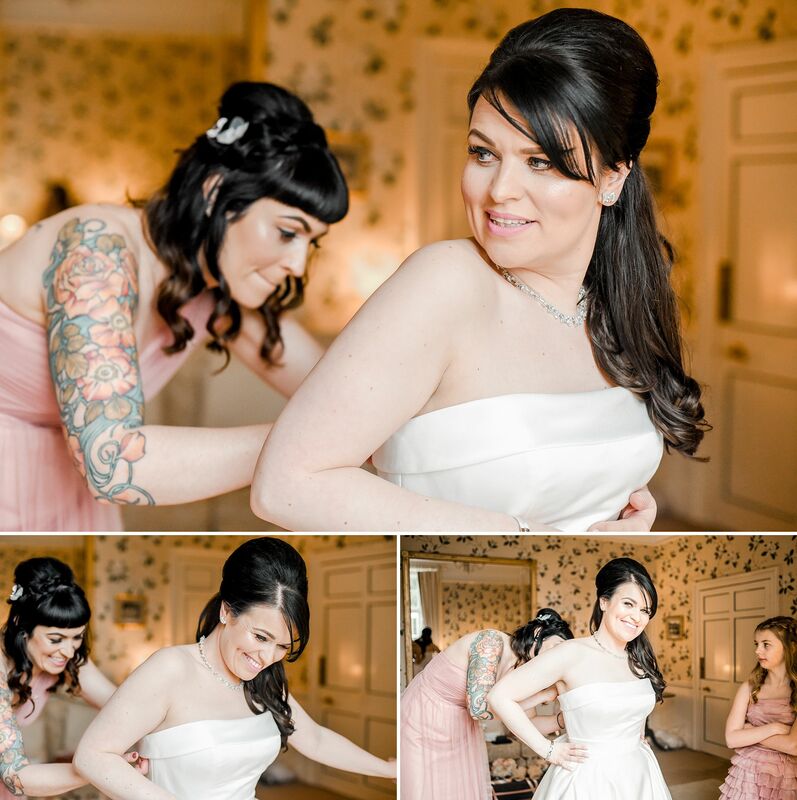 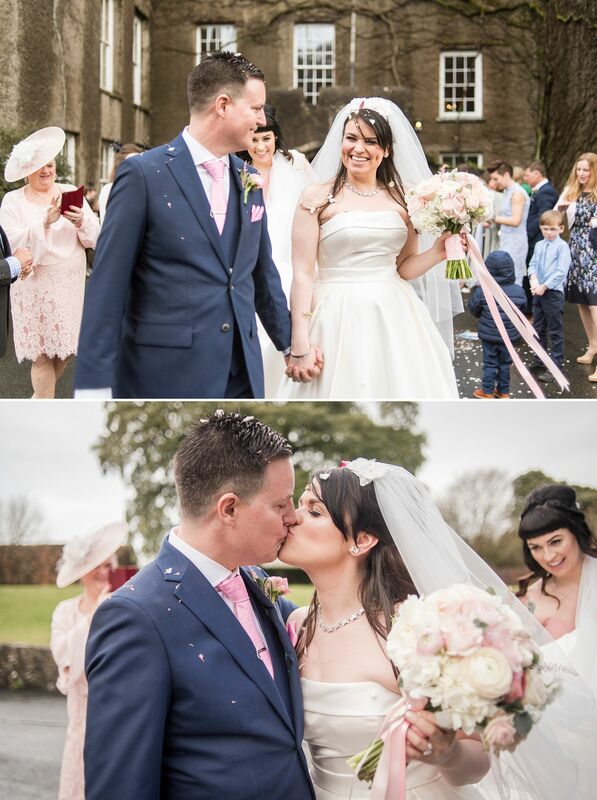 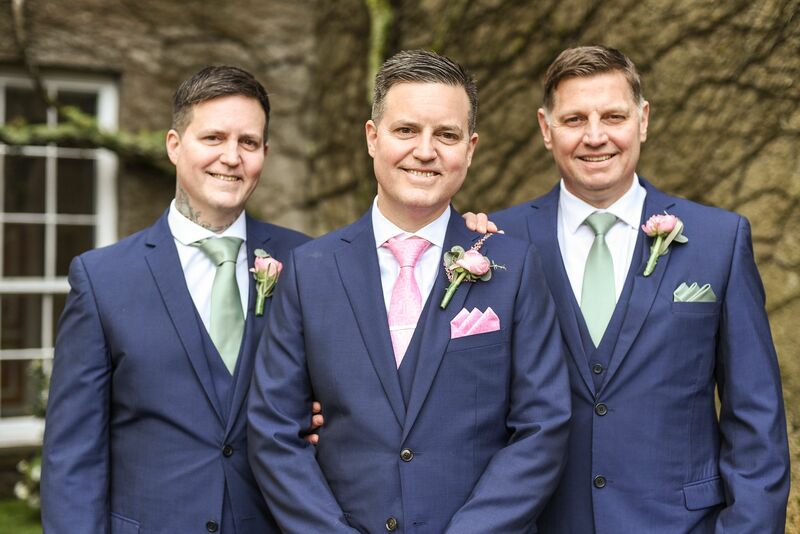 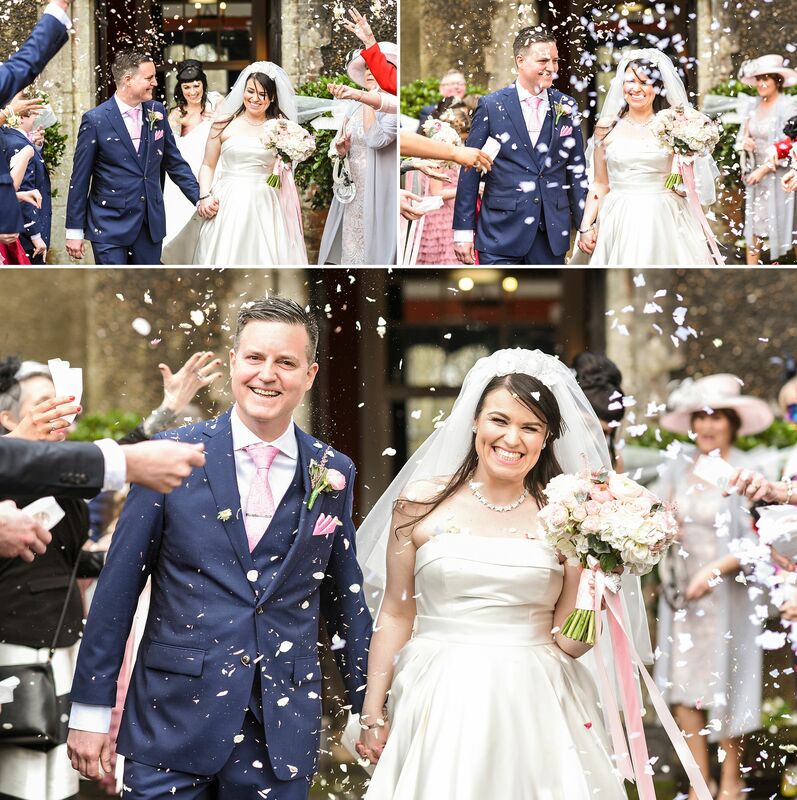 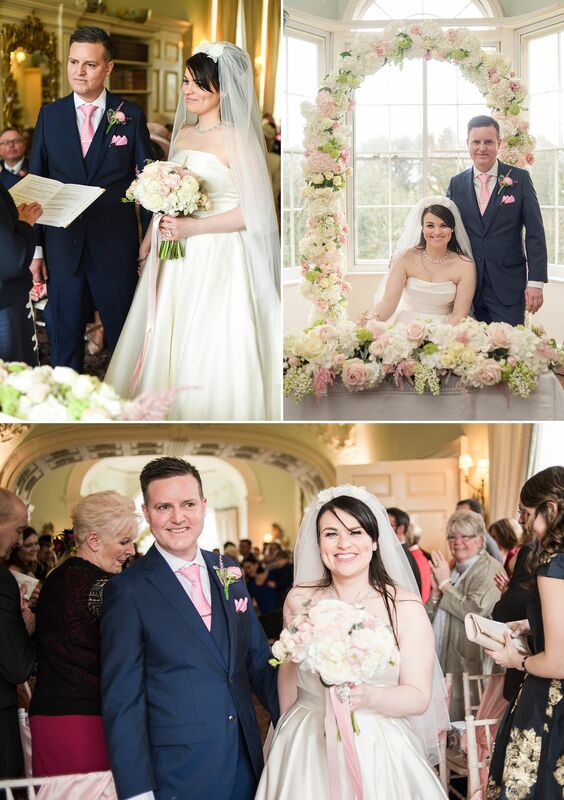 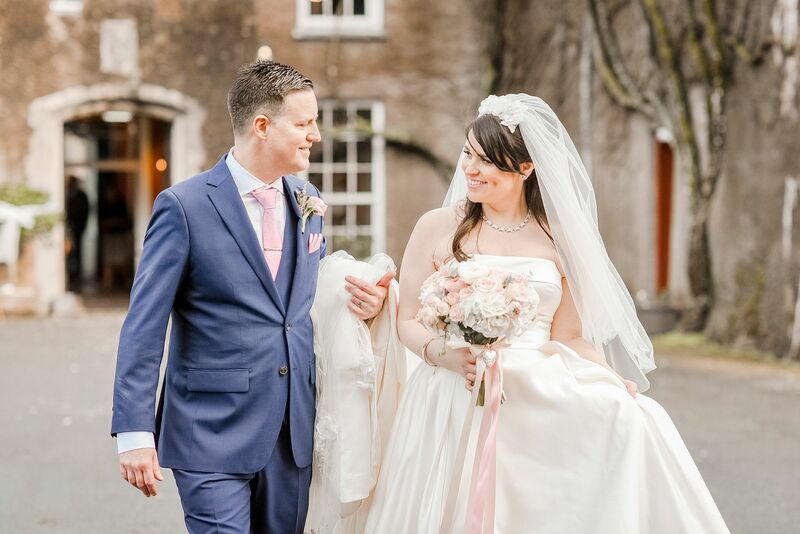 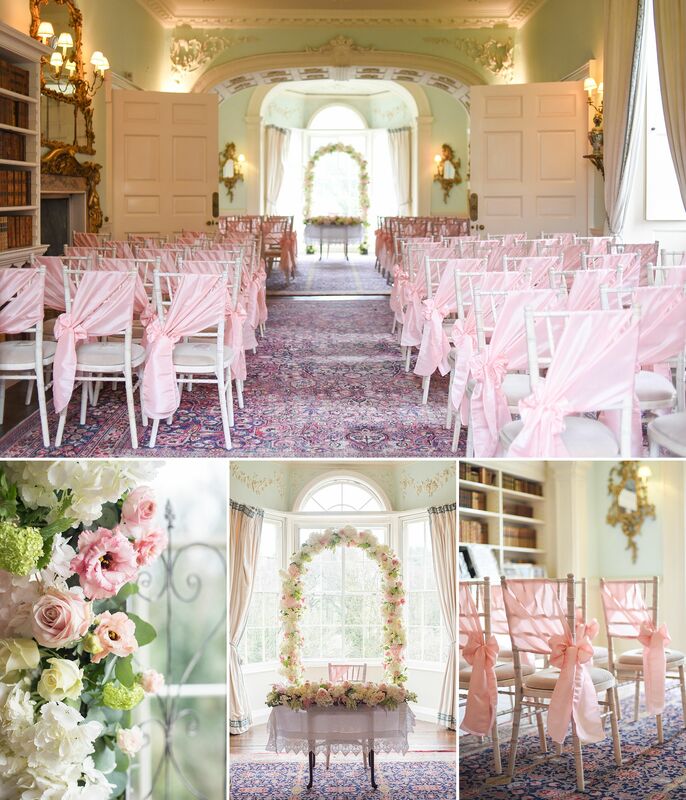 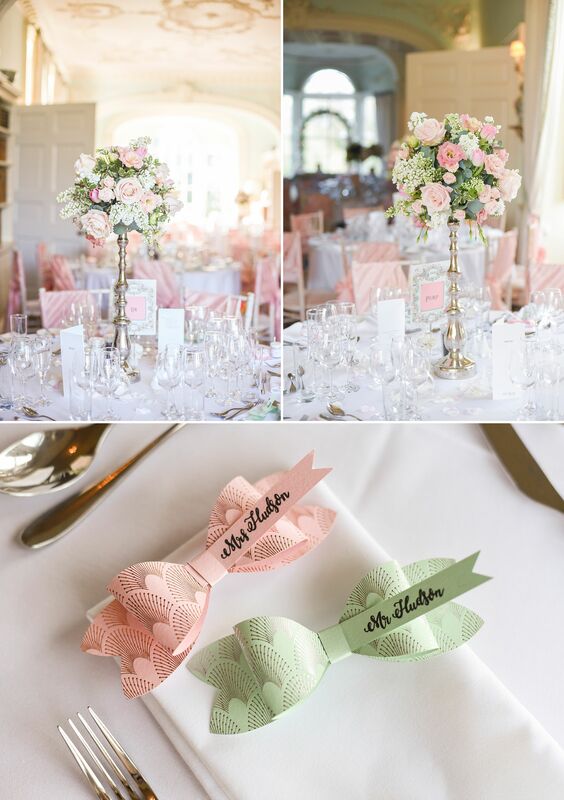 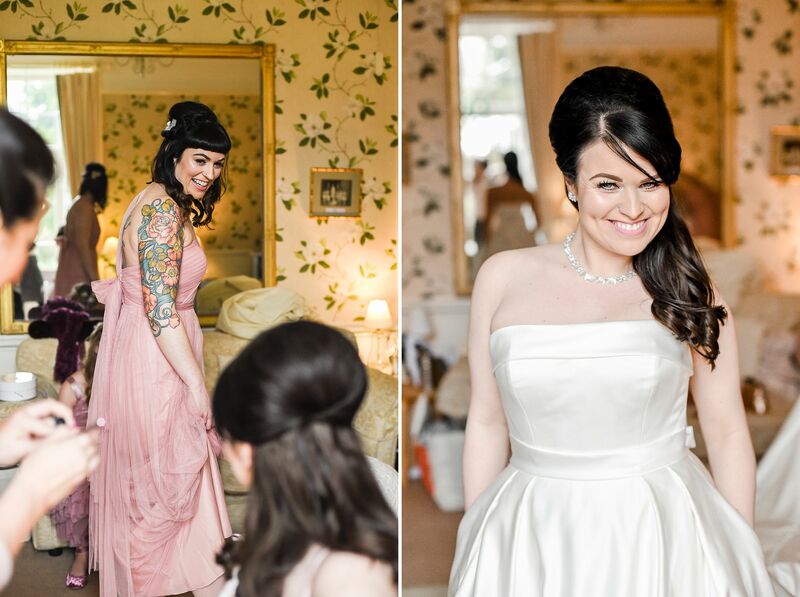 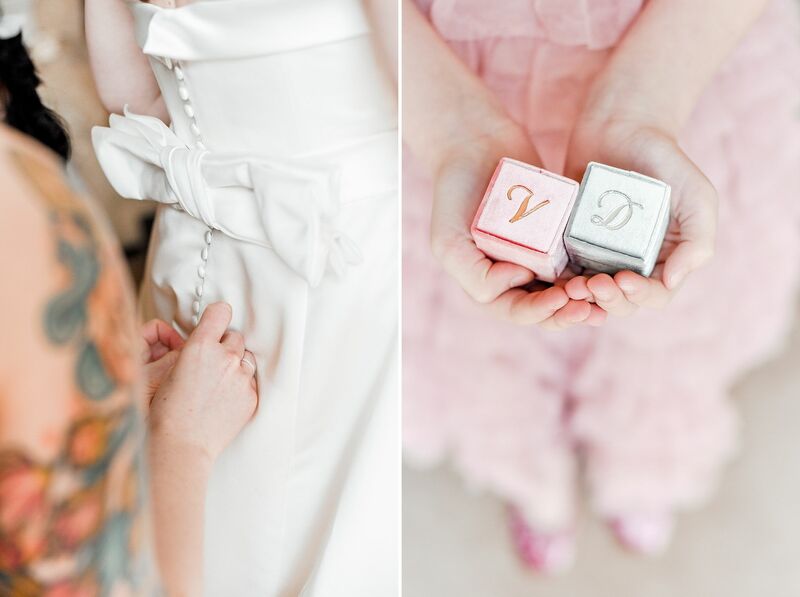 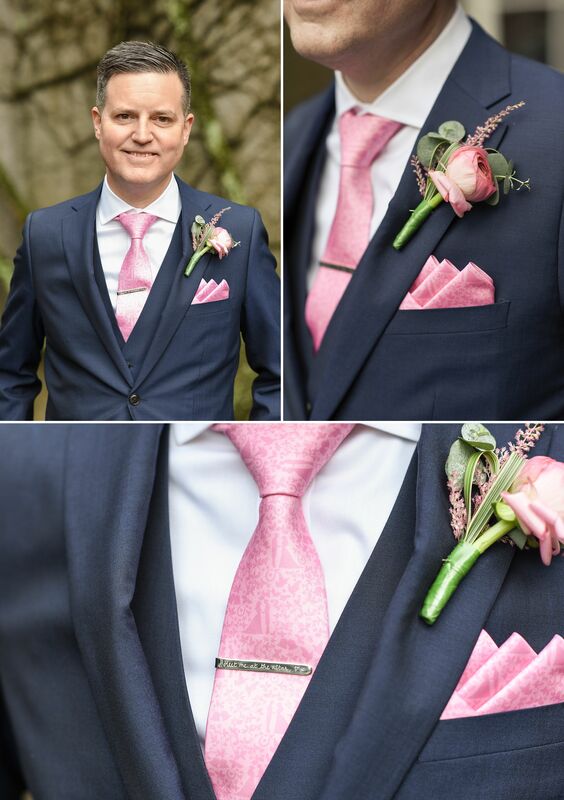 Here is a wedding for lovers of classic feminine details, pink pastels and elegant vintage styling. 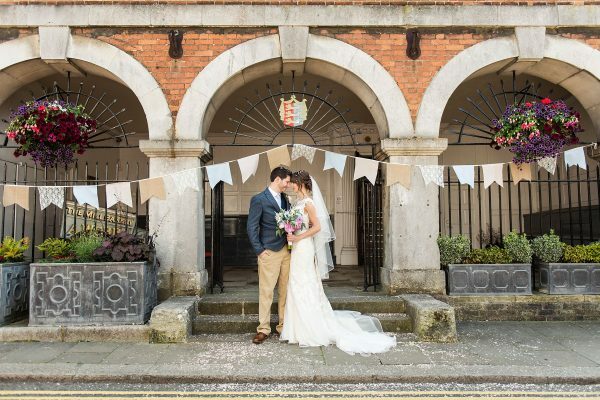 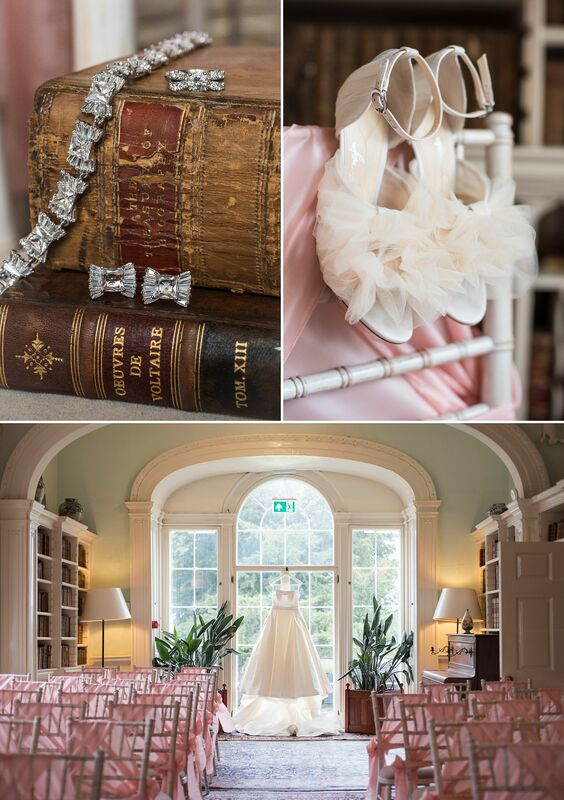 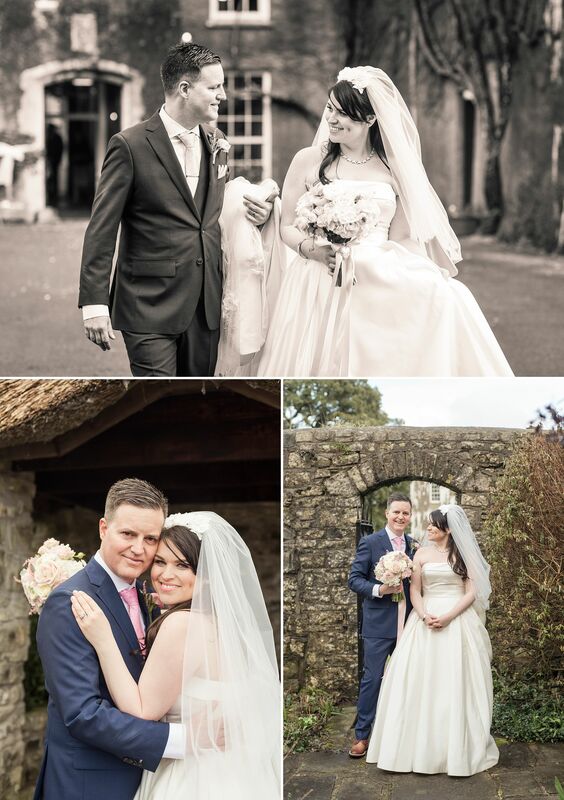 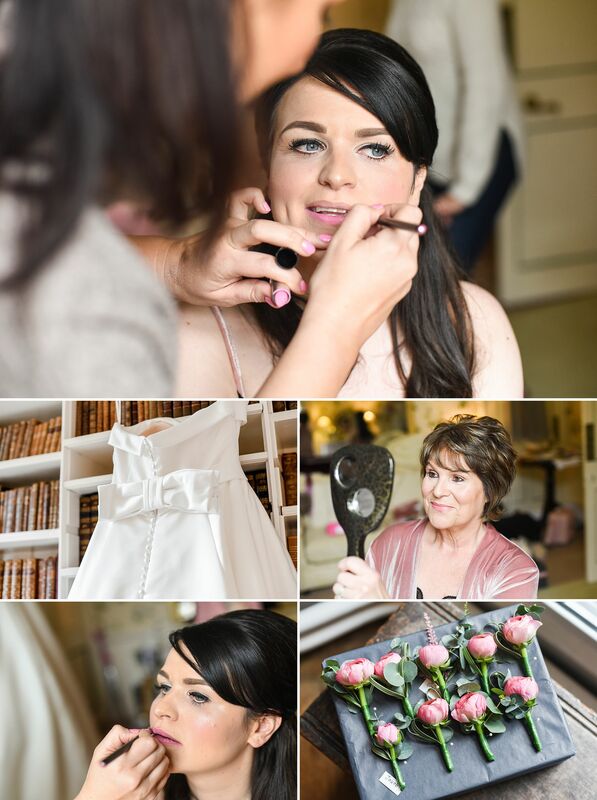 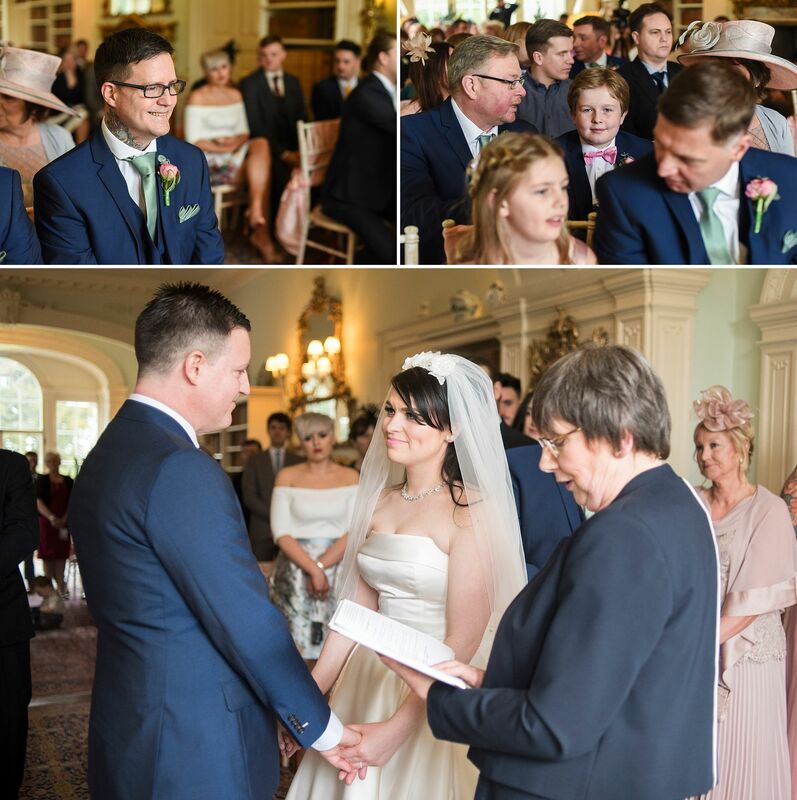 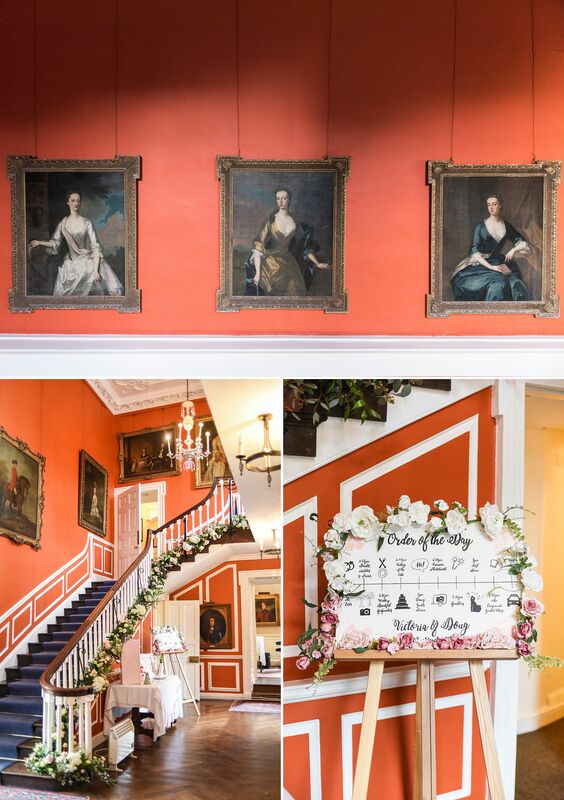 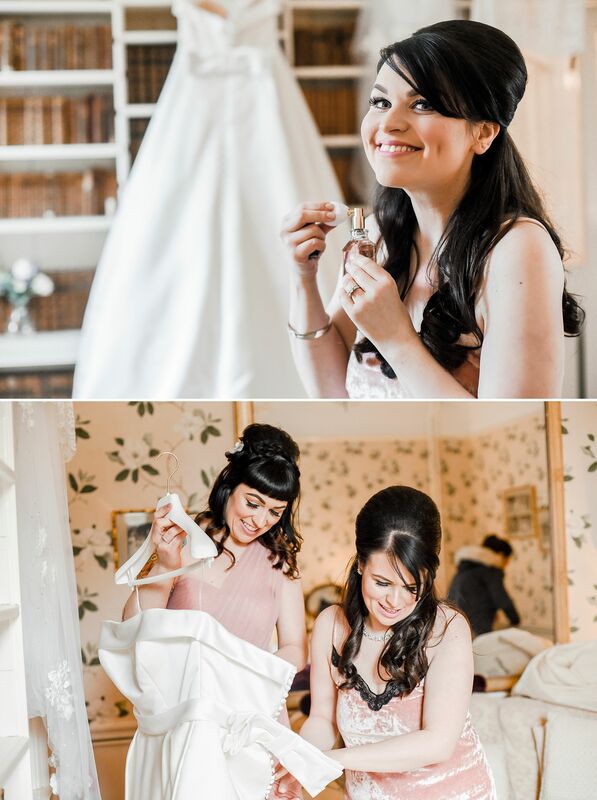 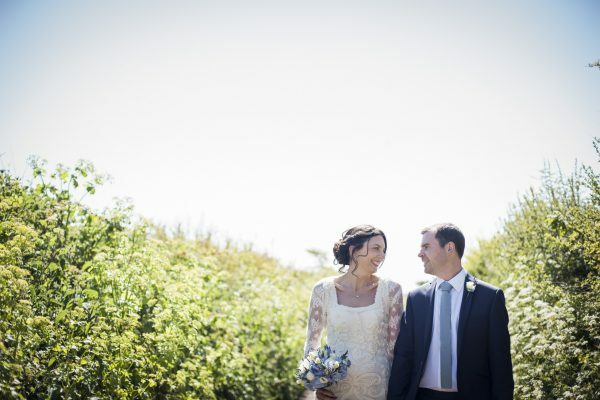 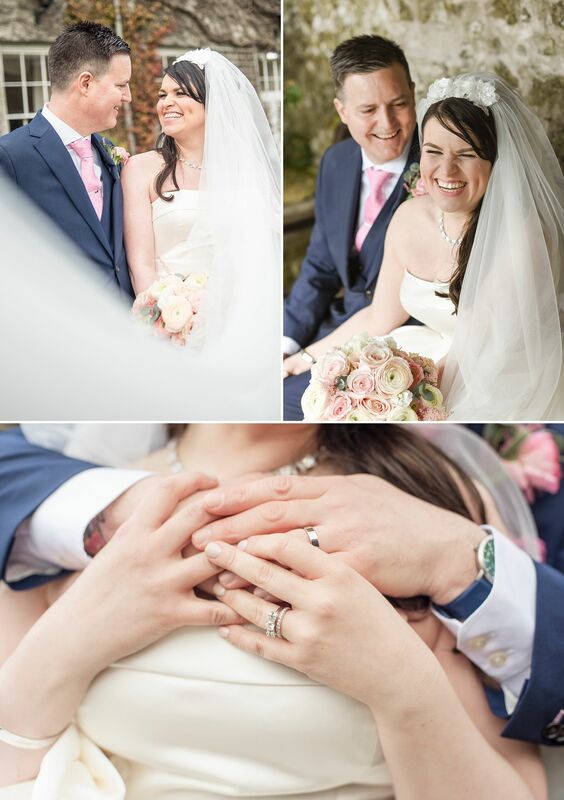 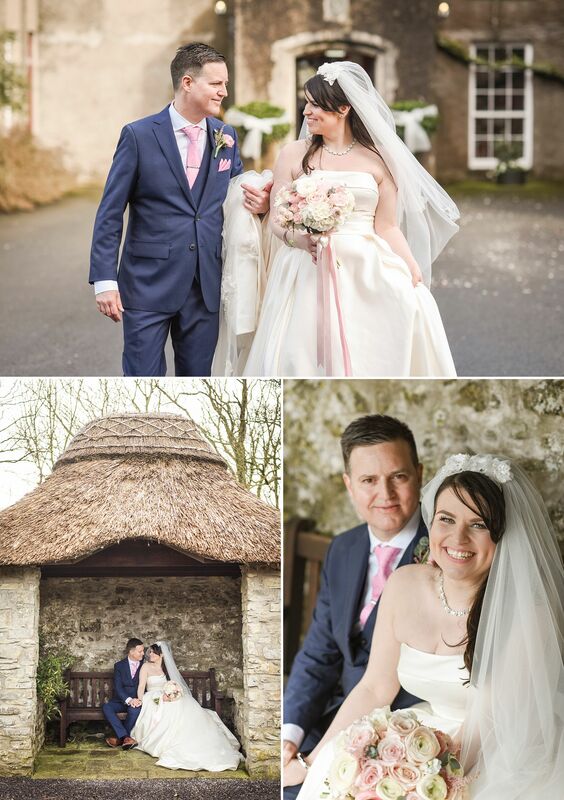 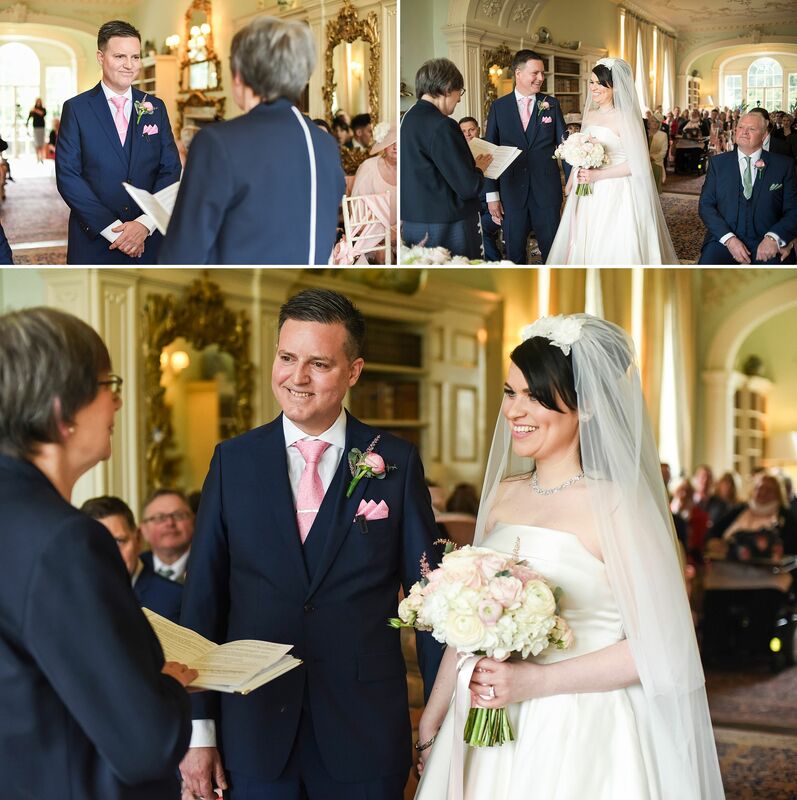 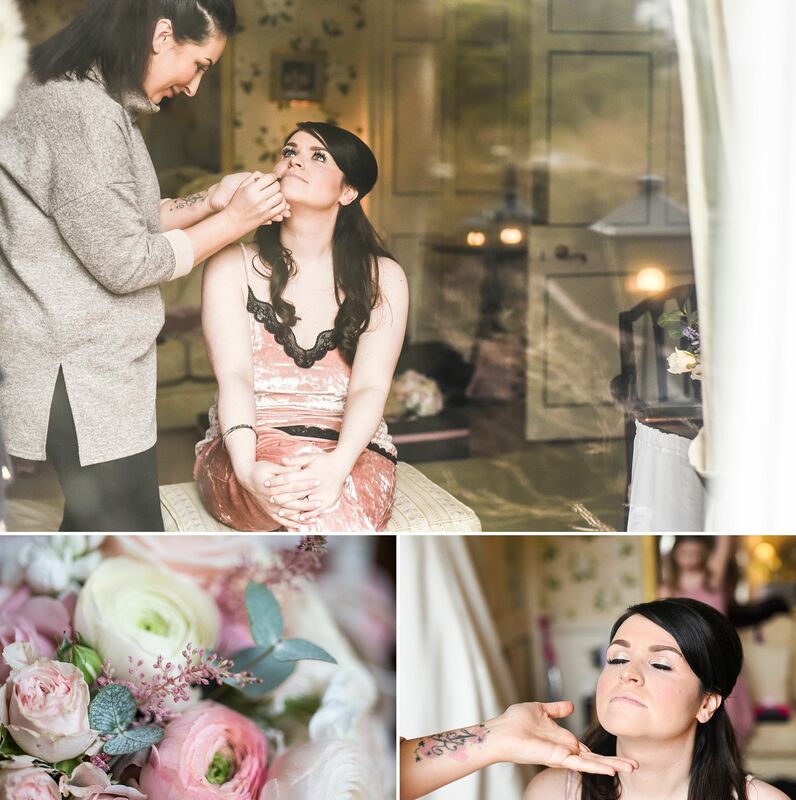 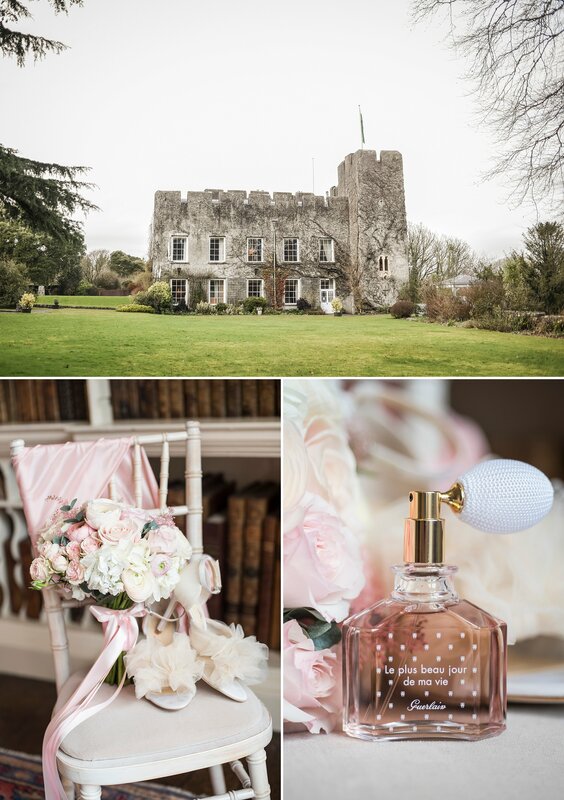 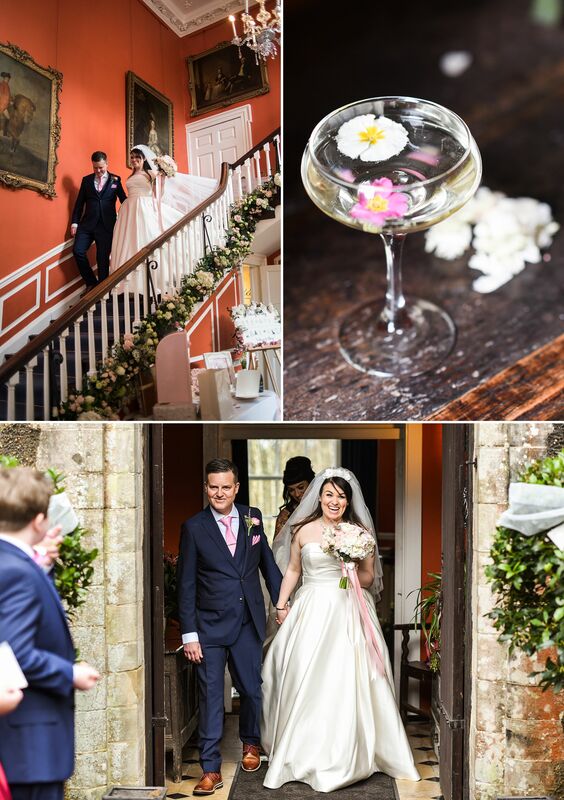 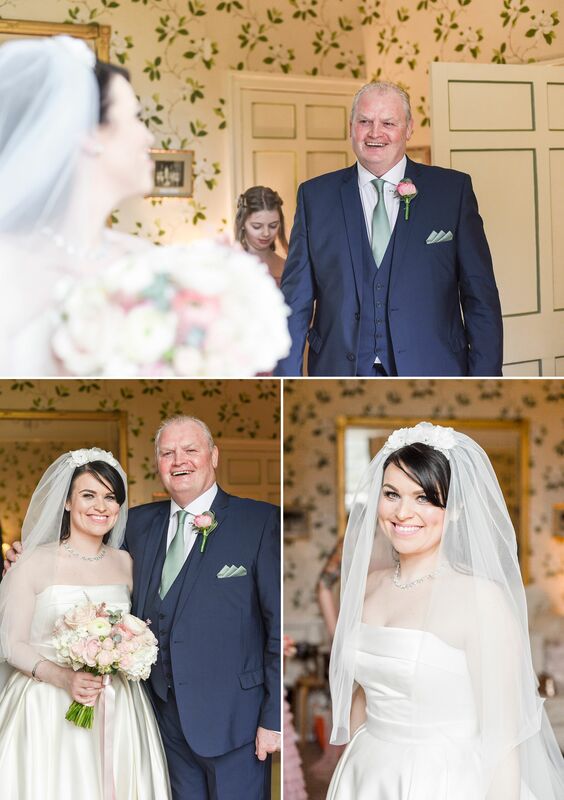 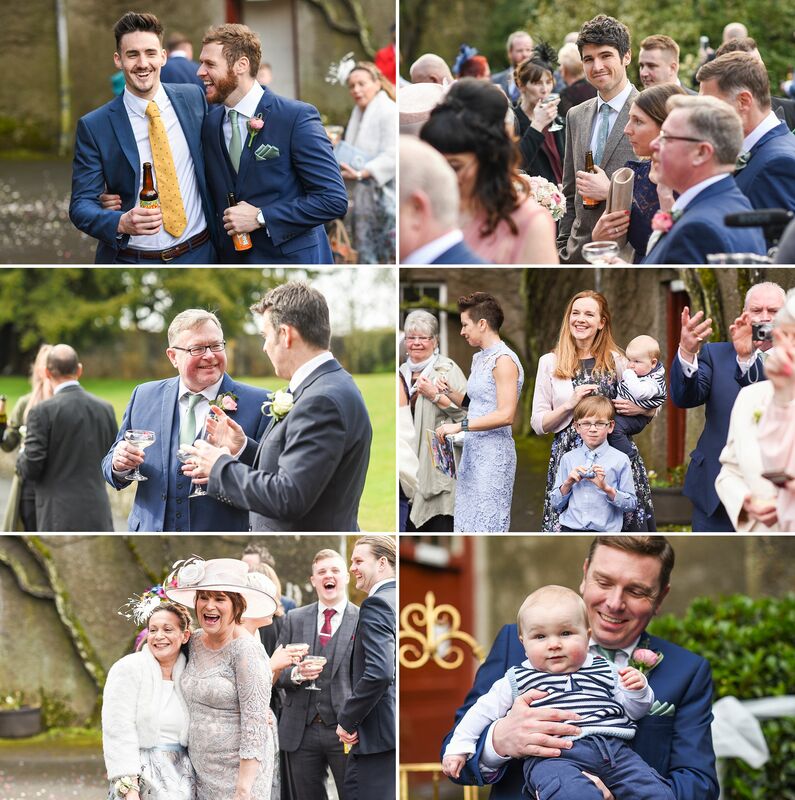 Victoria & Doug were married in early spring in the ornate library at Fonmon Castle. 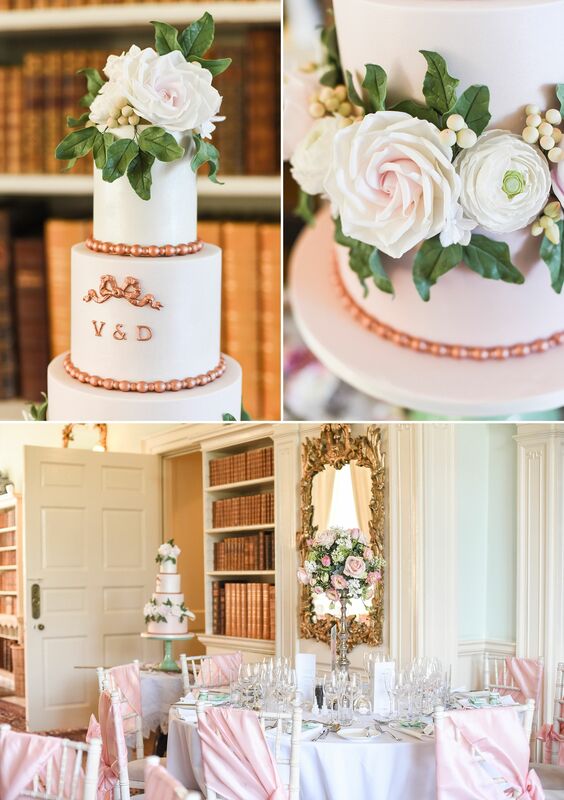 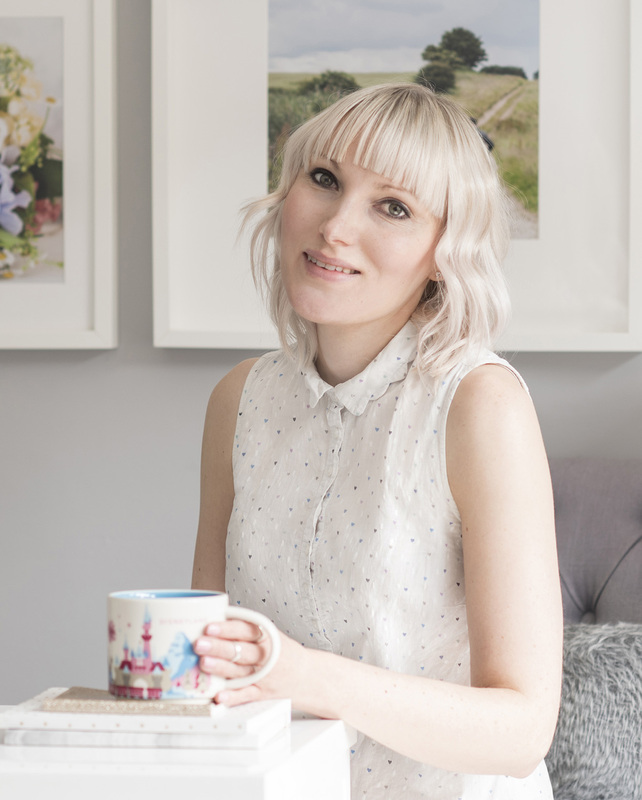 This soft pale blue room with gilded rococo mouldings always makes me feel as though I’m back at the palace of Versailles, walking in the footsteps of Marie Antoinette. 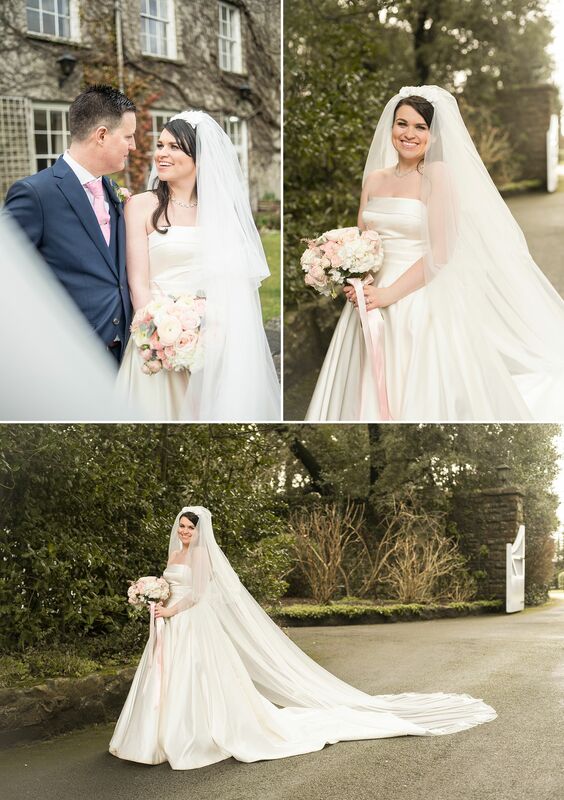 Victoria wore a bow backed Pronovias gown with the palest blush Isa Tapia tulle bow shoes. 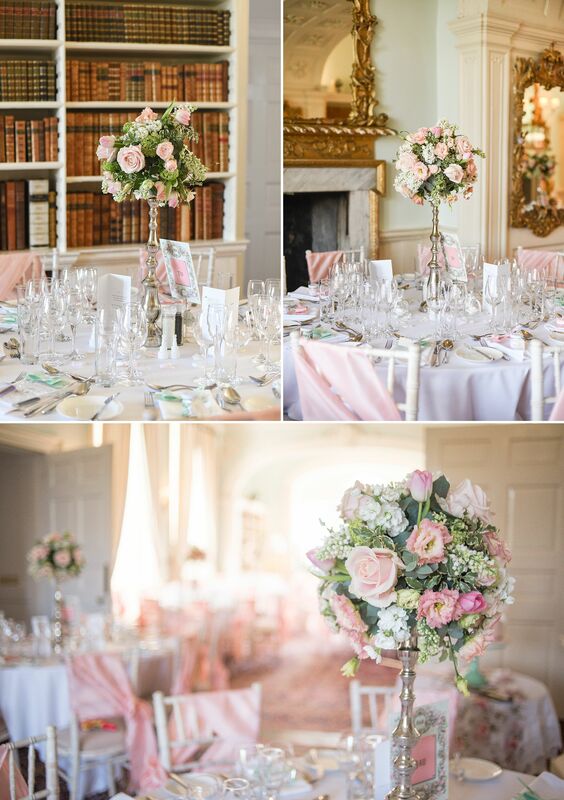 Catherine Gray Flowers provided the exceptional florals, perhaps the most beautiful being the trailing garland of white hydrangea, pink roses and eucalyptus along the grand staircase. 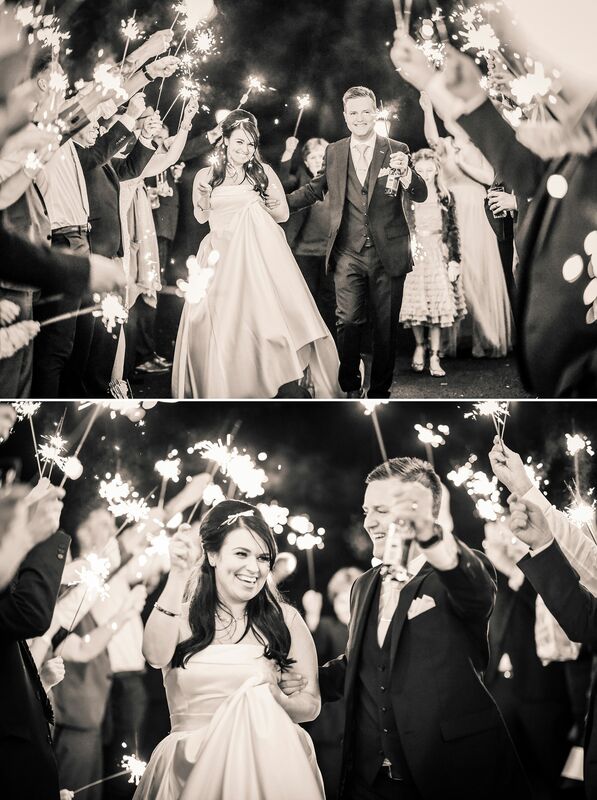 After dinner we stepped out towards the south lawns for a romantic sparkler send off.